After the Holidays Sign-Painting Party | Manchester Lodge No.12 F.& A.M.
Join us at Manchester Lodges Winter fundraiser! The holidays are here and everyone is looking for that creative unique gift for their wife or girlfriend. What would be a better way to spend an afternoon with your wife or girlfriend supporting Manchester for our first Wood Sign Painting Party? There will be some light appetizers and adult beverages will be available. 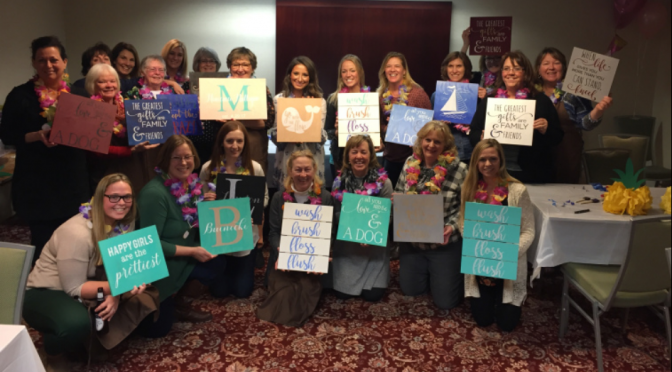 We’re having a Sign-Painting Party at Manchester Hall; a portion of the cost of the sign you create will help us fund our charitable events. There is room for 30 couples at the party, so reserve yours soon. Cost is $50 per couple There will be raffles too! Don’t RSVP here on Facebook–RSVP through me, I’ll supply you with the paypal link (prepayment is required) and you can chose your sign. If you have something special in mind I’ll see what can be done.